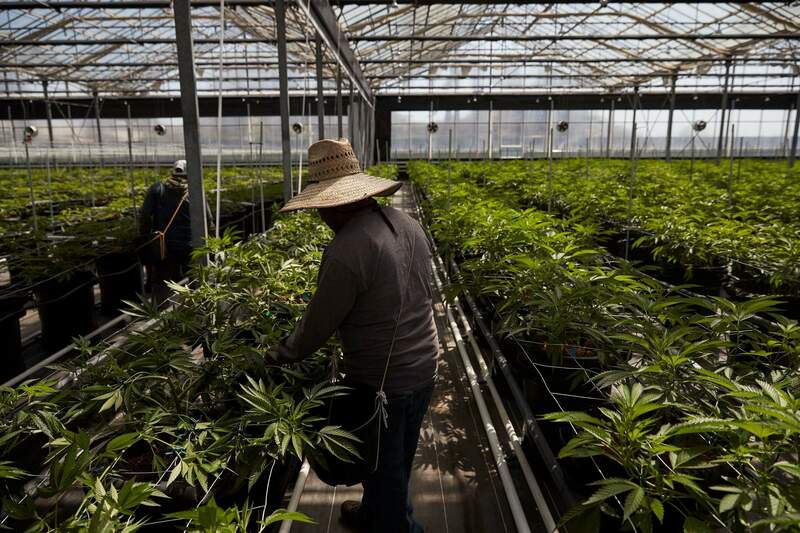 Workers work in a greenhouse growing cannabis plants at Glass House Farms in Carpinteria, Calif. Carpinteria, about 85 miles northwest of Los Angeles, is located on the bottom of Santa Barbara County, a tourist area famous for its beaches, wine and temperate climate. It’s also gaining notoriety as a haven for cannabis growers. 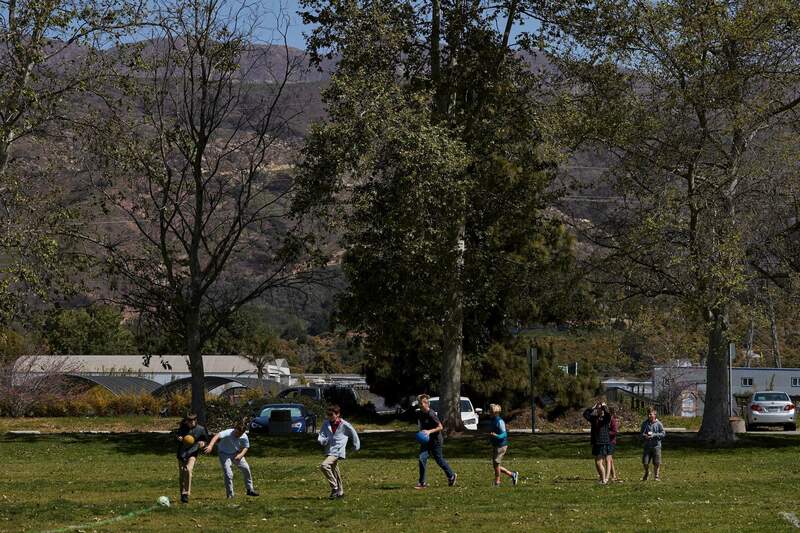 A group of students play outside the Howard School in Carpinteria, Calif. The school is located near a cannabis farm. Marijuana has become the new crop of choice in a place that once helped fuel the U.S. cut flower industry. 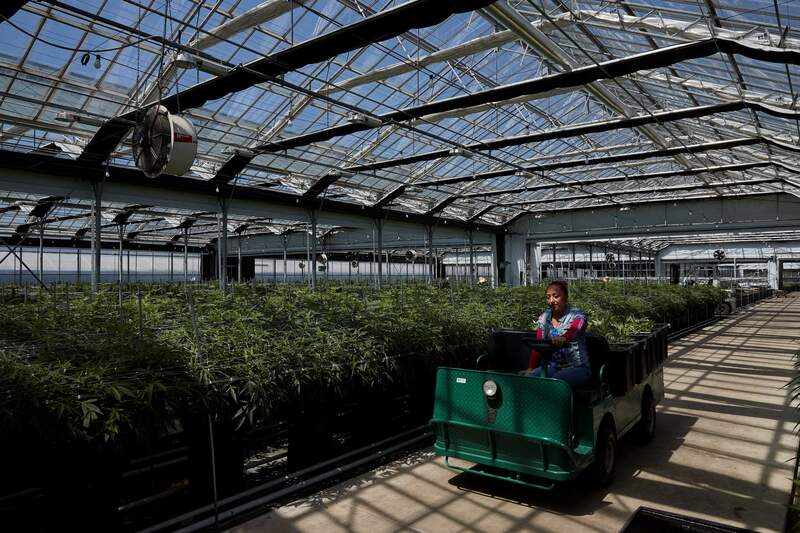 A worker drives a cart past cannabis plants in a greenhouse at Glass House Farms in Carpinteria, Calif. Santa Barbara county amassed the largest number of marijuana cultivation licenses in California since broad legalization arrived on Jan. 1, nearly 800, according to state data compiled by The Associated Press. Mature cannabis plants are seen in a greenhouse at Glass House Farms in Carpinteria, Calif. Santa Barbara County amassed the largest number of marijuana cultivation licenses in California since broad legalization arrived on Jan. 1, nearly 800, according to state data compiled by The Associated Press. Two-thirds of them come from Carpinteria and Lompoc, a larger agricultural city about an hour’s drive to the northwest. 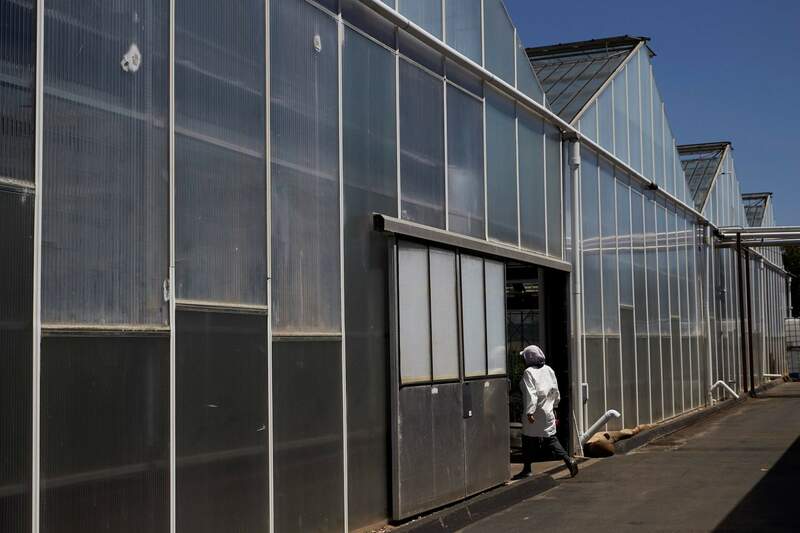 A worker walks into a greenhouse growing cannabis plants at Glass House Farms in Carpinteria, Calif. Greenhouses that once produced flowers are seen as ideal for growing marijuana. In a climate like Carpinteria’s, they heat and cool easily and inexpensively, and the plants thrive. It takes only about three months to grow cannabis in pots of shredded coconut husks, so farmers can get multiple harvests each year. 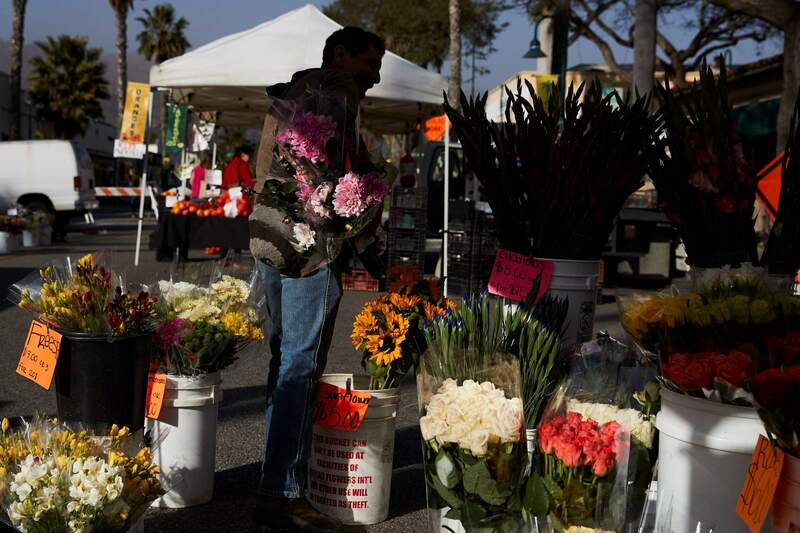 A man buys locally grown flowers at a farmers’ market in Carpinteria, Calif. 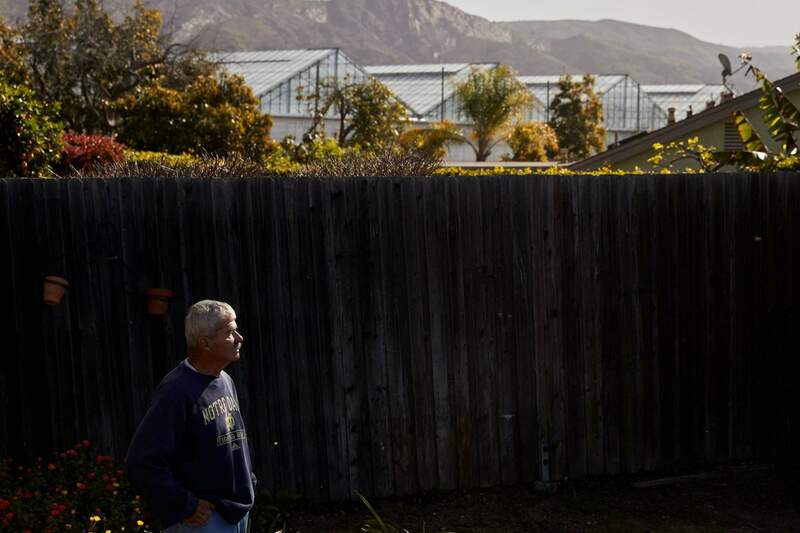 Residents of Carpinteria say they feel lucky to live in what they consider a slice of paradise. But lately, they say, it stinks. That sentiment is the result of a major shift in and around the tight-knit community of 14,000. Marijuana has become the new crop of choice in a place that once helped fuel the U.S. cut flower industry. 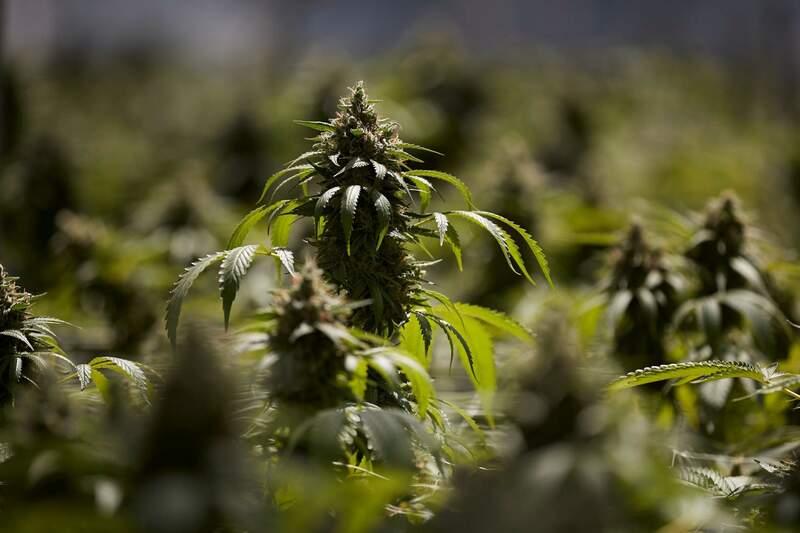 That’s because marijuana has become a new crop of choice in the farmlands surrounding this tight-knit community of 14,000, which has long helped fuel the U.S. cut-flower industry. 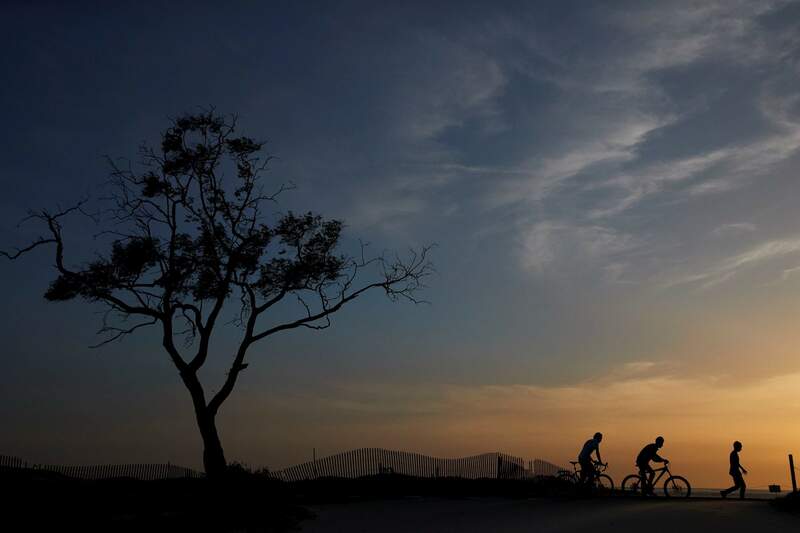 Carpinteria, about 85 miles from Los Angeles, is in the southeastern corner of Santa Barbara County, a tourist area famous for its beaches, wine and temperate climate. It’s also becoming known as a haven for cannabis growers. The county amassed the largest number of marijuana cultivation licenses in California since broad legalization arrived Jan. 1 – about 800, according to state data compiled by The Associated Press. Two-thirds of them are in Carpinteria and Lompoc, a larger agricultural city about an hour’s drive to the northwest. The result is a large number of licenses but small total acreage. Only about 200 acres of the county’s farmland are devoted to marijuana, compared with tens of thousands sown with strawberries and vegetables, said Dennis Bozanich, who oversees the county’s marijuana planning. Three boys stroll along the beach in Carpinteria, Calif. Carpinteria, about 85 miles northwest of Los Angeles, is located on the bottom of Santa Barbara County, a tourist area famous for its beaches, wine and temperate climate. It’s also gaining notoriety as a haven for cannabis growers. 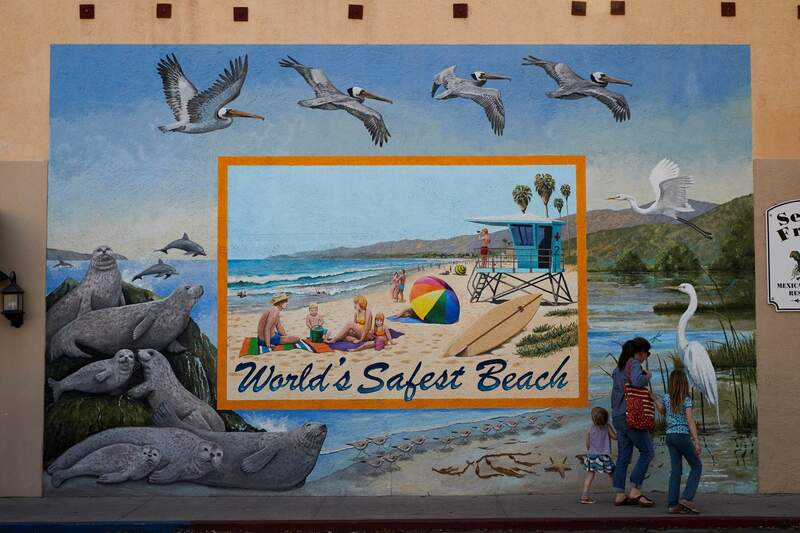 Visitors walk past a mural on their way to a farmers’ market in Carpinteria, Calif. The county passed rules in February requiring growers to submit odor abatement plans and designate a representative to handle complaints. They are expected to take effect in some county areas this year and in Carpinteria after a review by state coastal regulators. 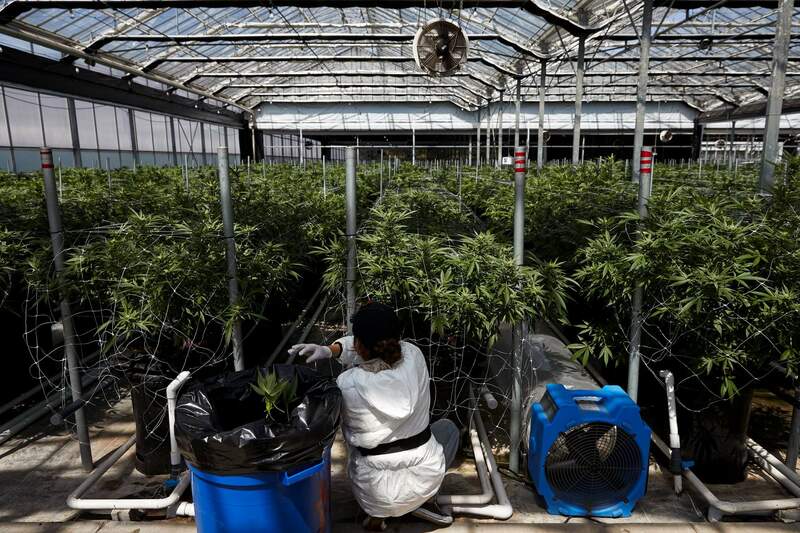 A worker picks unnecessary leaves from cannabis plants at Glass House Farms in Carpinteria, Calif. Greenhouses that once produced flowers are seen as ideal for growing marijuana. In a climate like Carpinteria’s, they heat and cool easily and inexpensively, and the plants thrive. It takes only about three months to grow cannabis in pots of shredded coconut husks, so farmers can get multiple harvests each year.